Most of the time I’ve spent in Australia has been in Seymour or Melbourne. Compared to where I’ve grown up, these are pretty small areas, with fewer sources of entertainment. A blog topic has just been requested. This is now about pineapples. I enjoy pineapples. 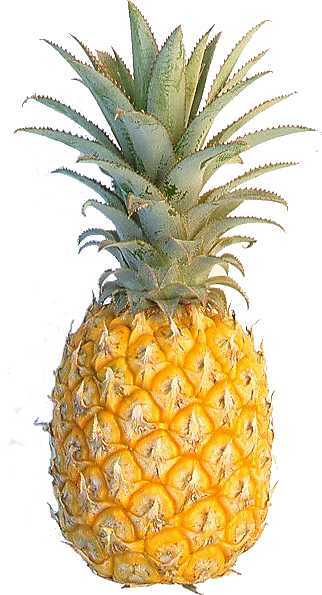 The most interesting things I know about pineapples are that they supposedly make people uh… taste better (which I first heard when I was 14; my ex-boyfriend told me that all he snacked on was pineapple and marshmallows) and that they are supposed to prevent bruising after a surgery. 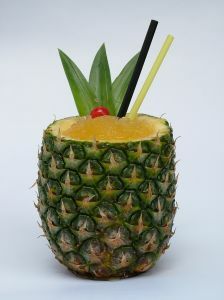 For a week or two before my nose surgery last month, I snacked on pineapple a few times a week. I had a week of bruising, which was pretty good for having my nose broken. I’ve researched the first interesting thing (as much as I can in 10 minutes on the internet) and have discovered that my ex was maybe correct. I looked here and here and here and here and here. Apparently, what you eat affects all secretions, so it would make sense, but there is little to no scientific proof. Scientists apparently have better things to do than make people eat pineapple and give them head. Since I don’t need to research the bruising thing (based on how I looked after my surgery, with a high-in-pineapple diet) I will just tell whoever reads this that pineapple helps prevent bruising. Eat pineapple if you know you’re going to do something that can result in bruising. Mmmmmkay. 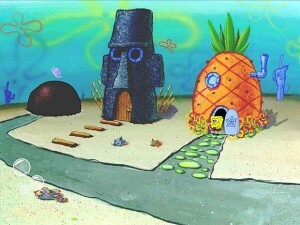 As you can see, pineapples also house sponges who are friends with starfish and make burgers for a living. At the Krusty Krab. These sponges also have incredibly annoying voices and happen to not be the most intelligent sponges in the world. 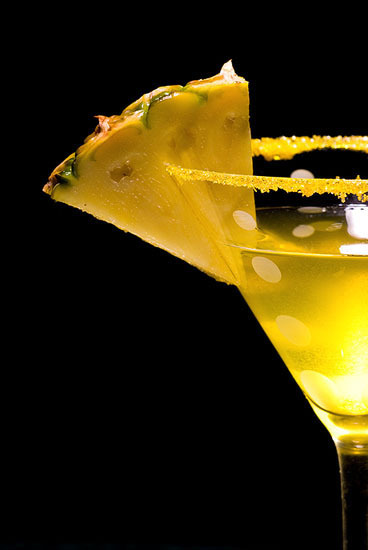 I’m not sure how these drinks would affect how people taste, since they also have alcohol (obviously, cocktails) and alcohol changes our pH balances, which in turn makes us taste worse. I was also told not to drink alcohol 10 days prior to my surgery. Maybe the affects would negate each other. Negate is a MtG card. I’ve used it many times. So has Bryce. 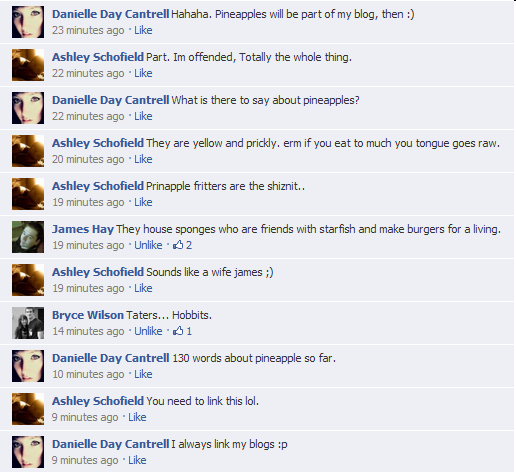 I honestly have nothing else to say about pineapples. They aren’t as interesting as pigeons are. It is a blog post, though! This is a good thing. Sorry for not blogging more lately. I have a few drafts that I just have to edit and post, and more words to add to my Australian Dictionary. Also, this is my first blog written almost entirely from a bubble bath. That is all. I’m going to add words to the dictionary and update it now. Have a good day/night (whatever your timezone is) everyone! Glad to know another pineapple enthusiast! So does pineapple make it taste better?